May Open Perspective: What is Open Science? We all have our own different perspectives. That is not a problem, it is just something you should be aware about. Obviously I have a Library perspective. Or a TU Delft perspective. Or a Dutch one. So one person often carries several perspectives. When we talk about open science, there is so much that we can cross-over from one perspective to the other. In the nineties of the last century we used to have grunge-music, combining (indie)rock, punk and heavy metal. Another example of cross-over or heavy blending was fusion cooking. The result of all this can be very attractive (however, this is just an opinion of course). After we launched the National Plan Open Science in The Netherlands, I participated in an Open Science Strategic Advisory Group, temporary composed to give input to the TU Delft Strategic Framework 2018-2024. The Group had a few discussions, but was pretty unanimous about the fact that for us all university processes and products should be as open as possible: education, research, valorisation and culture. The advice is to be put in the final document later this year, and might be adjusted, but of course we can be open about the advice we have provided. So what does this mean in the coming years for all TU Delft researchers and students? Open access publishing is the default and a campus-wide infrastructure for open research data management is available. (Re)use of open educational resources is common practice and the extension school has increased open course publication to contribute to the UN Sustainable Development Goals by sharing TU Delft’s knowledge. 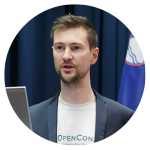 Assessing and communicating the societal impact of your research is common practice and open source cooperation is possible as part of an active community that promotes and facilitates the use of open source software. One of the interesting discussions we had in our Advisory Group was about the perspective of open. The qualifier “open” has different interpretations, depending on the context it occurs in: for example, the implications of “open” in “open access” are different from those of “open” in “open courseware”. This is because concepts, processes or stakeholders may vary. 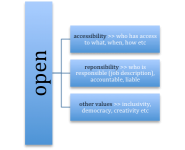 In addition, we argued that it is important to consider the term “open” in relation to values like accessibility and responsibility. Up till now, focus has been on the accessibility aspect of open science. The responsibility aspect can and should be strengthened. That is something we want to explore further – what we know for sure is that a university needs to stick to its principles and “help regulate quality and ensure fair prices for goods” (a quote I copied from a History course explaining about the Rise of Universities and Displacement of Monasteries). We will have good discussions in the period to come to understand all perspectives, and we will hopefully have some fusion, blending and grungy outcomes. Irene Haslinger (secretary), Geert-Jan Houben (chair), Jeroen van den Hoven, Gary Steele, Willem van Valkenburg, Wilma van Wezenbeek. Open Science is that thing everyone is talking about, but no-one knows what it really means. It’s a fad, it’s a movement, it’s how science should be, it’s not for me, it’s a vision, it’s a PR stunt, it’s a cultural shift. It’s Open Access, it’s Open Data, it’s Open Source. Is it open peer review? Is it open culture? Is it open education? It varies massively depending on who you talk to within the general scholarly communication community, including librarians, researchers, and publishers. The definition of Open Science is actually, well, almost non-existent. This is both a great strength, and its greatest weakness. It means that we can apply it to almost anything, as it’s flexible. We use it to imply things such as greater transparency and accountability of different parts of different systems or processes. But at the same time, this means that we don’t really know what it means, what the various properties of the individual parts of an ‘Open Science system’ are, how they function, or what the positive or negative effects of them could be. To me, Open Science is a process. 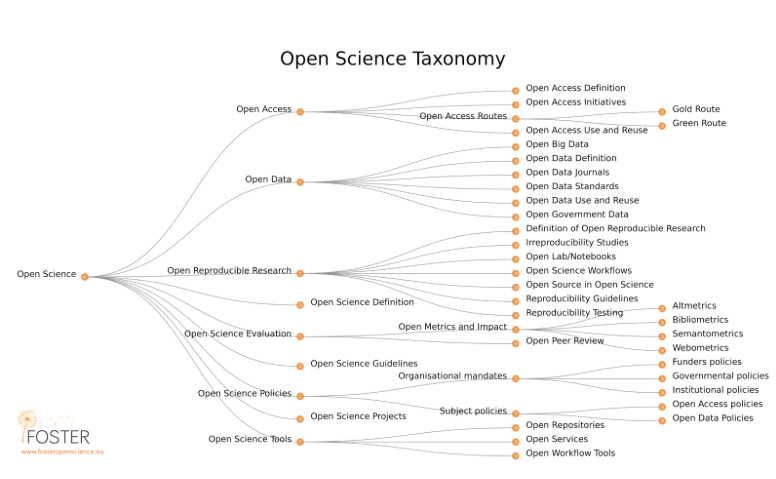 The best current way to describe it is the FOSTER Open Science taxonomy, seen below. It’s nested, it’s connected, and it’s rather complicated. But if you think of it as a process built on a set of principles, it becomes a bit easier to comprehend. Open Science means that research is open to collaboration and contribution, and that all of the outputs of research are communicated in a way that minimises barriers, and maximises accessibility and re-usability. Open Science to me is fairer, more objective, and more inclusive, which are good principles for any system to be built on. These facilitate rigour through transparency and accountability, and that’s what research is all about. Open Science is just good science! The point of research is that it is not for an exclusive group, but for every single person on this planet. A more knowledge-equipped society is a better functioning society – no one ever suffered by knowing too much. 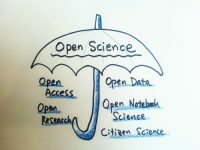 That’s what Open Science is ultimately for – giving people the tools they need to innovate and create a better future. And we’re going to need knowledge to help us with all the major challenges of the future – water and food security, meeting energy demands, catastrophic climate change, technologies. Let’s build a future where science is for all of society, not just a privileged elite! What is the future of Open Science? The future of science will most likely evolve as part of an increasingly democratic process, but one which is difficult due to the often very polarising states of some of the key stakeholders. The key though will be transparency, as no one really loses out from this. I can see transparency being used more in three key parts of the process. Publishing. The publishing system is currently ‘closed’ in a number of respects. The vast majority of research papers are still paywalled despite great efforts over the last 20 years to liberate them. No-one knows really how much publishing costs or should cost, or how to reconcile a highly-profitable industry that sustains itself through a system of non-access and delayed publication (i.e., embargoes), with increasing demands for Open Access and rapid dissemination of research. Transparency can be injected here in more ways than just through Open Access. For example, non-disclosure agreements are used by the publishing industry to occlude price negotiations between institutes, and essentially create a system where no-one knows who is paying how much and for what. This benefits no-one but publishers themselves, and by removing any sort of competition like this through non-transparency, means that the price of subscription and publication remains exclusively tied to the business models of publishers rather than any objective true cost of publication or research communication. 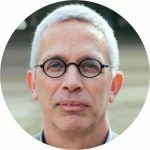 If business models behind scholarly publishing become more transparent, then we can see what the true cost of publishing is, and make more informed decisions about how to publish in a manner that is sustainable for research funders and institutes in the future. Peer moderation. Peer review is currently closed, secretive, and exclusive. Tell me how this is supposed to be objective, or why it is used as the ‘gold standard’ of research. Despite this, peer review remains at the foundation of our research validation and scholarly communication system, and therefore the entire structure of research institutes across the world. I see the future of peer review evolving into a process, which is more transparent in order to drive accountability, increase open discourse and collaboration within communities, and provide more in-depth context for published research. Peer evaluation. The impact factor should be renamed to Researchers’ Bane. The use of journal-level metrics to assess researchers and individual papers is completely illogical and lacking any sort of scientific basis. Yet, it is rife within academia, embedded in our culture, and again contributes to defining academic hierarchies. Tell me how this makes sense? I see a more complex suite of qualitative and quantitative measures being used to assess research and researchers. I see evaluation not being focused exclusively on research papers, but being broadened to all research outputs and processes, including software, data, public outreach, policy engagement, and even teaching. Open Science: the National Plan and you. Join the first national meeting for researchers on Open Science. The meeting will take place on the 29th of May 2017 and will be hosted at the Aula of TU Delft. The day will be a great opportunity for all researchers working in the Netherlands to give their opinion on the aims and goals of the Dutch ‘National Open Science Plan’. It’s a chance to let politicians, funders and administrators know what researchers really need to make Open Science work for them.This one-day event is free to attend. Save the date and register now! Environmental ScienceBites, an open textbook written by undergrad students Ohio State.